Smooth, comforting and full of flavour, tomato soup is a favourite in any weather. But when the mercury is on the rise it’s time to turn to tomato soup’s warm weather friend: Gazpacho. For those wanting to enjoy either iteration of tomato soup, it’s important to know that the perfect serving is about more than just temperature. In fact, preparation and flavour are two of the biggest differentiators between these culinary cousins. On the surface, Gazpacho is tomato soup served cold. However, the reality is that it is not only served cold, but is never cooked to begin with. This raw soup has its roots in Spain and Portugal in the 19th Century when red tomatoes were added to a traditional cold broth of garlic, olive oil, salt and vinegar, giving it the colour and flavour we have become familiar with. Perfectly suited to the warmer climates where it was popularised, Gazpacho has a strong flavour punch without the need to spend time in front of a hot stove. 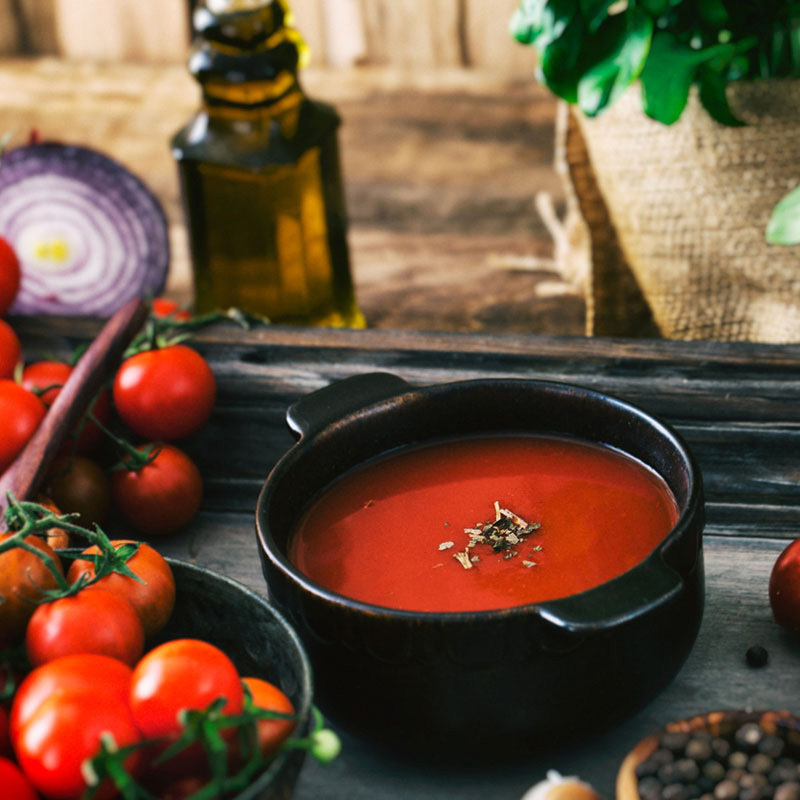 While you might not need a stove to make traditional Gazpacho, you’ll find it easier to blend the tomatoes with a food processor for a smooth consistency. However, there are no real rules when it comes to this raw soup. Some people prefer it to be entirely smooth like a tomato soup, others reserve some crushed tomatoes to give it a little bit of texture. Similarly, you can also garnish your soup in a myriad of ways. 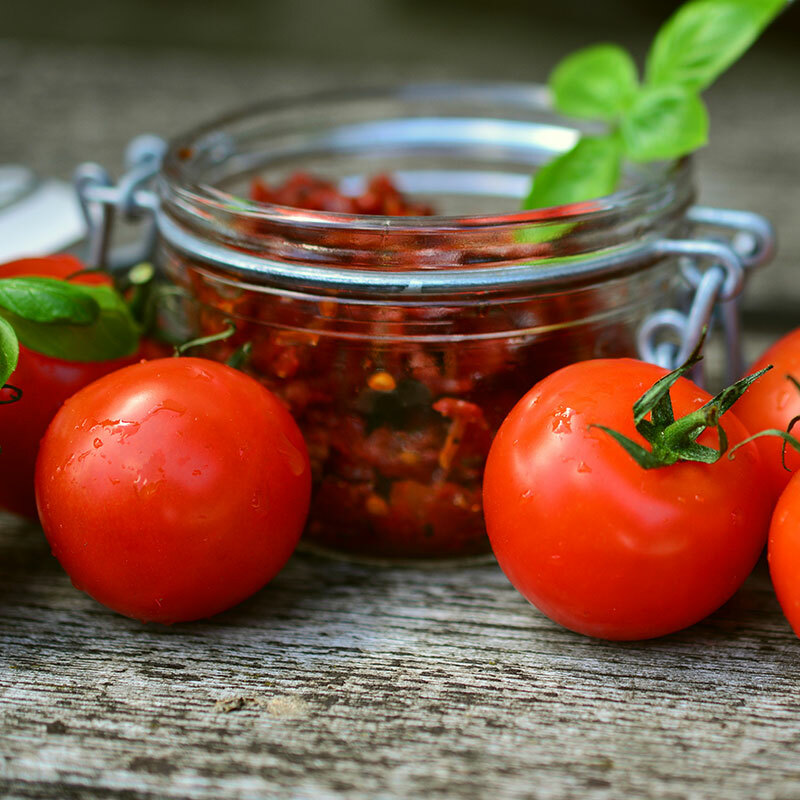 From crushed almonds, finely chopped capsicum, herbs or cucumber, to more hearty options like hard boiled eggs or chopped ham, there is no wrong way to garnish your gazpacho. Soak your bread in water to soften. Remove and squeeze out excess water. Tear bread into pieces and place in your food processor. Add olive oil, tomatoes, cucumber, capsicum and garlic to the food processor. Blend until smooth, then slowly add salt and vinegar to taste. Once chilled, serve with the garnishes of your choosing. Or when serving for guests, serve with a selection of garnishes so they can add their own. 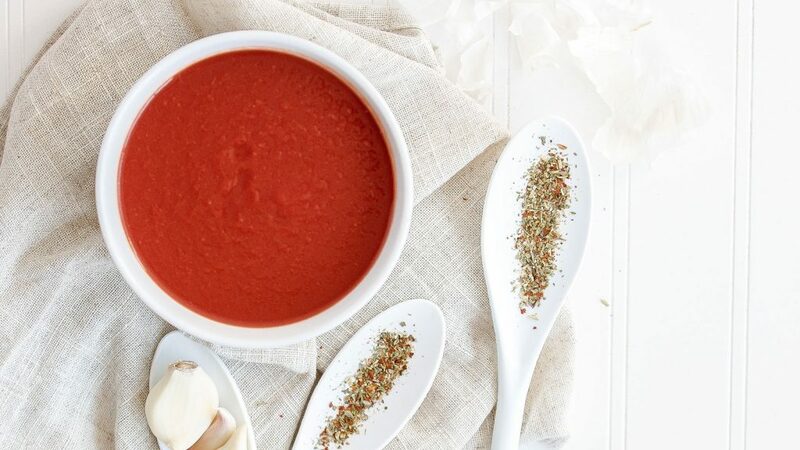 The flavours are mighty different, so if you’re craving a piping hot bowl of comforting tomato soup then this recipe will tick all the boxes for you. Heat oil in a large pot until warm. Add onion, celery and carrot and stir until they are soft. Add your tomato paste a stir to coat all your vegetables. 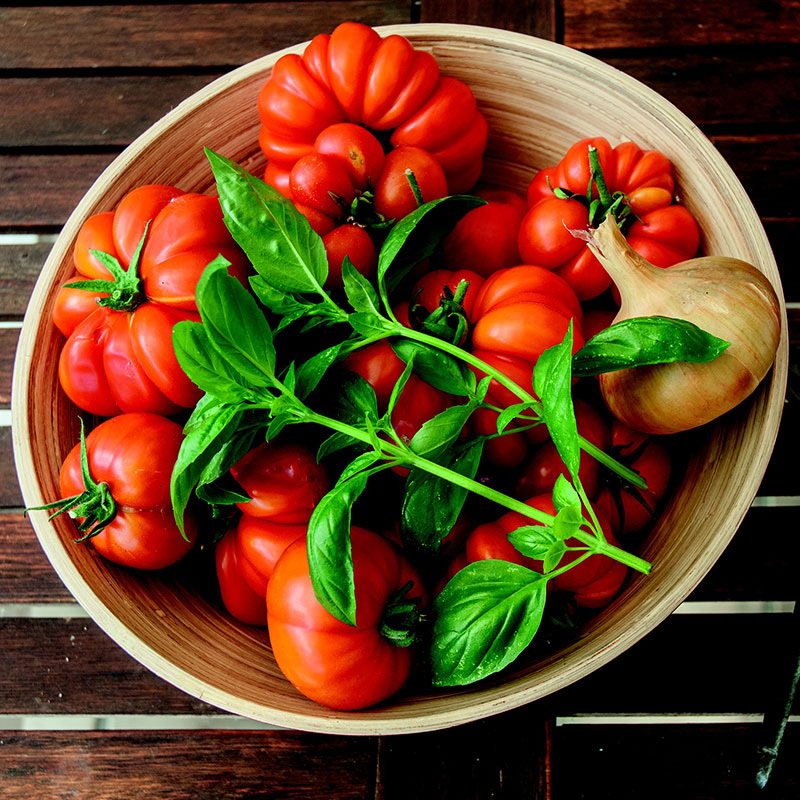 Pour in your chopped tomatoes, bay leaves and a pinch of sugar and pepper and stir to thoroughly combine. Put the lid on your pan and allow to simmer over low heat until the juice flows from the tomatoes (about 10 minutes), stirring occasionally. Pour in your stock liquid and stir through. Put the lid on and turn the heat back down to low, to allow it to continue simmering for about 25 minutes. At the end of your cooking time, ladle your mixture into a blender (only until about half full), and pulse until smooth. Transfer to a new pot or bowl and continue until the whole mixture is smooth.